Tinsel & Tine Editor Le Anne Lindsay Intro: I met Rorie Still last March at the International Women's Day Celebration (click for post) held at Cynwyd Station Cafe and Tea Room, and as is always the case in Philly, we discovered we knew a lot of the same people and have gotten together to chat a time or two. 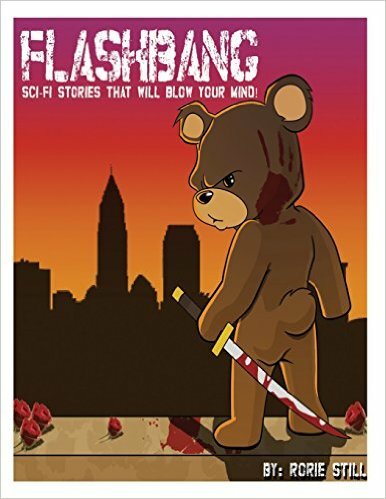 Rorie has written a compilation of Sci-Fi/Fantasy stories called Flashbang: Sci-Fi Stories That Will Blow Your Mind , which I've been wanting to read, but when I turned 40 my brain stopped being able to read anything but articles, blog posts and research. It's awful - both my sisters have written books, they're both wonderful, but I read so sporadically I can't finish them. Two friends have written books they want to turn into screenplays and have asked me to read them, give my opinion, have I? No. I want to, but I can't discipline myself - help! 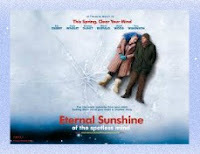 A man named Joel (Jim Carrey) is so distraught after learning that his ex-girlfriend, Clementine (Kate Winslet), has had her memories of their relationship and him erased, that he goes to the same company to have the same procedure performed on him. The game begins to go awry when the bumbling team, who are supposed to be erasing his memories in secret, make Joel, in a semi-unconscious state, aware of what they're doing. Joel begins to sense that his memories are being erased, and realizing the mistake he has made, tries to stop the process, realizing how much he loved Clementine. Why I Love It: Because it was reality bending in a way that all movies that attempt to demonstrate memories are, how a world can build and fall apart like a live-action Mindcraft or Tetris. I also craved the love story. It wasn’t perfect; in fact, one could even say it was kind of bad. However, he was willing to fight for it, even in his own head. That kind demonstration of love is just so inspiring; it makes me still want that kind of connection,which can be, and often is, a messy affair. 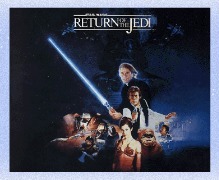 In this last of George Lucas’ original Start Wars trio, the mighty team composed of Luke and Laya Skywalker (Mark Hamil and Carrie Fisher respectively), Han Solo (Harrison Ford), Chewbacca (Peter Mayhew), C3PO (Anthony Daniels) and R2-D2 (Kenny Baker) are finally getting ready to take out the evil Empire with the Rebel Alliance that has been hunting them and oppressing the galaxy throughout the first two movies. Why I Love It: In this film, the good guys are finally completing "the Hero’s Journey" and defeating the evil, and Luke becomes a man after being a scared and uncertain boy for so long. He is finally One with The Force! I also love the intensity of the battle scenes that make you feel as if you are right in the cockpit. The dialogue, as with the other two movies, dropped meaning-of-life bombs in casual conversation, enough to enrich my world twice. Plus, I absolutely adore the interactions with the possibly cannibalistic teddy bears or the Ewoks (They had the Storm Troopers helmets but no Storm Troopers. Do the math). A human family buys an android that they name Andrew (Robin Williams). They expect him to work as all other robots, which is basically walking household equipment, and metal slaves, yet Andrew breaks everyone’s expectation (much to their regret, chagrin, delight, and anger) and begins to develop a personality and a soul. This takes him on an amazing journey of discovery of what it means to be human. 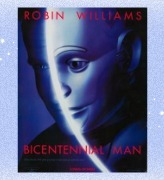 Why I Love It: I felt this was one of Robin William’s most brilliant and subtlety evocative performances. It broke my heart to see how a creature, how a person, realized they were becoming something different, something amazing, something with incredible promise, but they were horribly rejected by a society that wanted to keep them in their caste. The whole tragic point of the movie is that Andrew constantly is seeking his humanity or approval from a human world that will never accept him no matter how much he gives to it, no matter how human he already is, they have blinders on. This movie is a perfect metaphor for the blatant racism that's still very much front and center today. A little extraterrestrial is left behind when his people had to make a quick get-away during their exploration of Earth. E.T., as this being is named later, has to figure out a way to call his people to come get him from our alien planet. 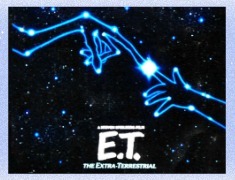 In the process of doing this, a young boy named Elliot (Henry Thomas) befriends E.T., and helps him in his endeavors. Why I Love It: ET will always hold a special place in my heart because of the loneliness of the movie, in both the stranded alien and the young boy dealing with his parents bad divorce and father’s neglect. I like how the movie said that even when you loose something big, you gain something bigger. The alien gave Elliot someone to love, someone who loved him and someone who tried to take care of him, replacing in some ways, his neglectful father. In a very real way, E.T. was a story not only about the wonder of something that was different, but it was about love. A woman in her mid-twenties is still living at home with her aunt and uncle and is scared to leave to start a new life. Fate intervenes in the form of a runaway dog and a tornado in the middle of a snowstorm, which blows her into a magical world. Why I Love It: Although technically a fantasy film even from my own description, this could be looked at as science fiction because of possible wormholes (the tornado) and inter-dimensional travel (the land of Oz) and maybe even aliens (the munchkins). The reason that this will always be my number one sci-fantasy movie is because of the amazing musical numbers, and its eternal message that change is necessary to grow, and everyone can change if they choose to face the challenge. Science fiction expands the mind by breaking boundaries of what currently exists, even if it's in today’s time. It also dances beautifully between them, on them, around them and through them in ways that we never thought possible. Science fiction helps us to grow, to see what could be instead of what is, because what is, isn’t always a good place to exist. Sometimes we need to step into the future or the “what if” to grow into the now. That is why I like science fiction films. They help expand the meaning of the now, helping us to make it the gift that it should be. Rorie Still was born in West Philadelphia and began writing stories in the second grade. She holds a bachelor's in Psychology from North Carolina A&T State University and a master's in Elementary Education from Lincoln University. 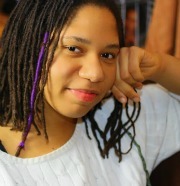 Rorie worked as an elementary school teacher within the Philadelphia School District from 2010 to 2013. 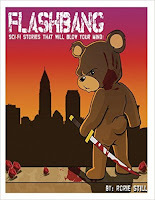 “Taking Wing”, the story that seeded her first book “Flashbang”, was first introduced to the public as a winner of the science and speculative fiction writing contest, “Octavia City”, organized by The Black Tribbles, a G-Town Radio program. Rorie read the story live on the air there. Then, Rorie was chosen to be one of the featured artists in Art Sanctuary’s 2015 Celebration of Black Literature. She also published her second book, “Hidden Melody”, this same year through a co-authorship with Naila Mattison, which also debuted at the 2015 Celebration of Black Literature. 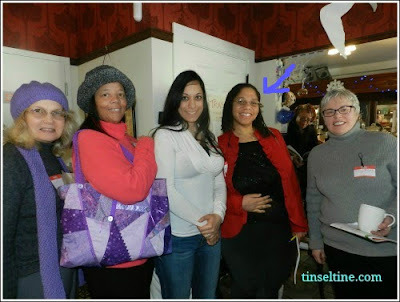 Most recently, Rorie has begun to present writing workshop at various venues, including the Free Library of Philadelphia and Big Blue Marble Bookstore.